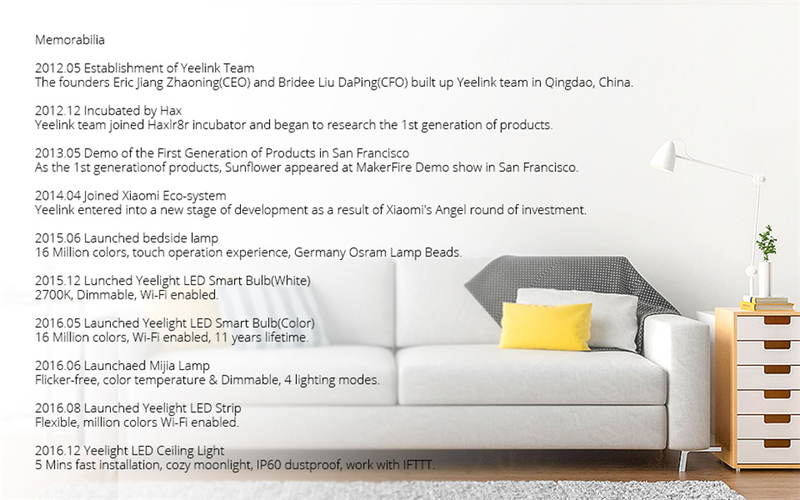 Yeelight, create the fantastic dream for your home! * The YLDP05YL (Tunable White ) product\'s brightness is adjustable. 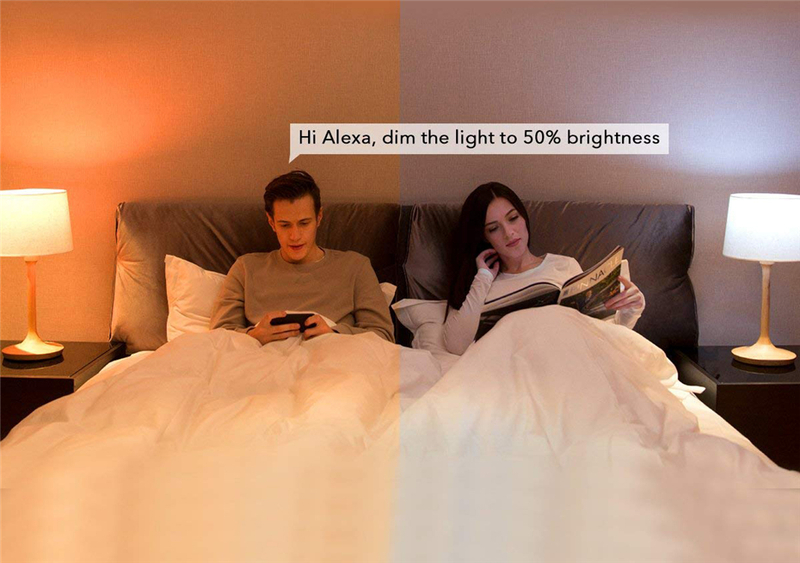 You can adjust color temperature 2700K - 6500K and brightness to meet your own needs such as waking up, reading and sleeping. * The YLDP06YL (Color) with vast color options. Match any occasion with the 16 million colors and adjust the brightness as well as color temperature from warm white ( 1700K ) to daylight ( 6500K ). 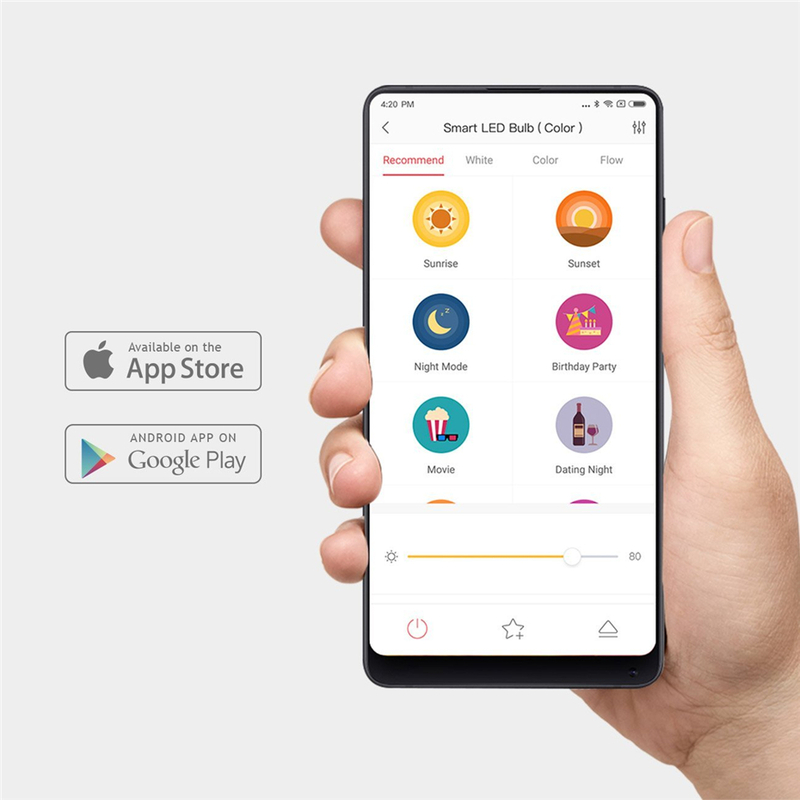 * APP control which let you just use one finger to change light color and color temperature by connecting with Yeelight APP in your phones. 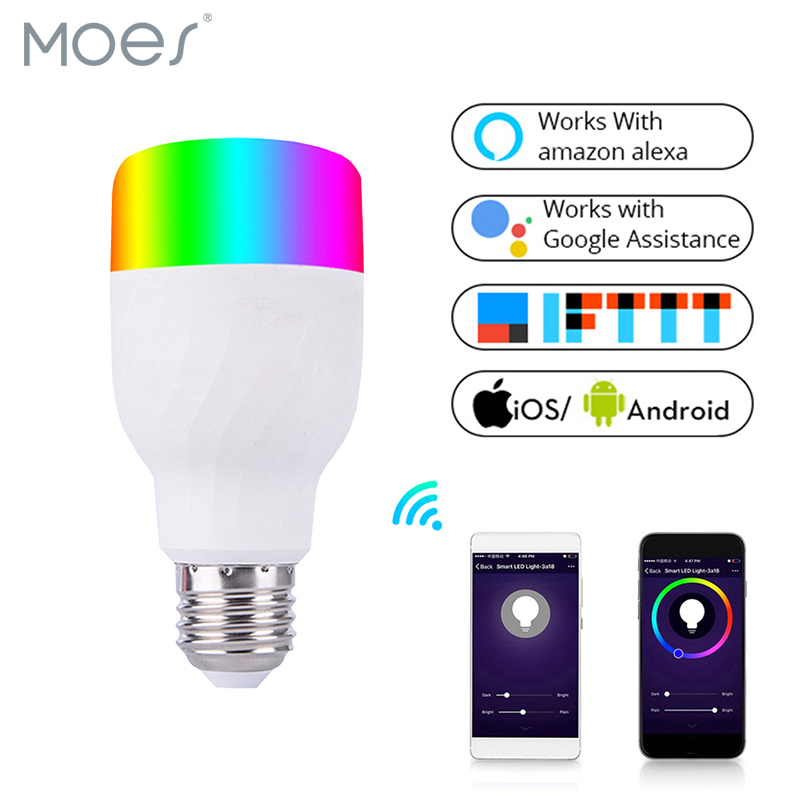 * Intelligent voice device control which can work with Amazon Alexa, Google Assistant, the Yeelight bulb will obey your voice order. 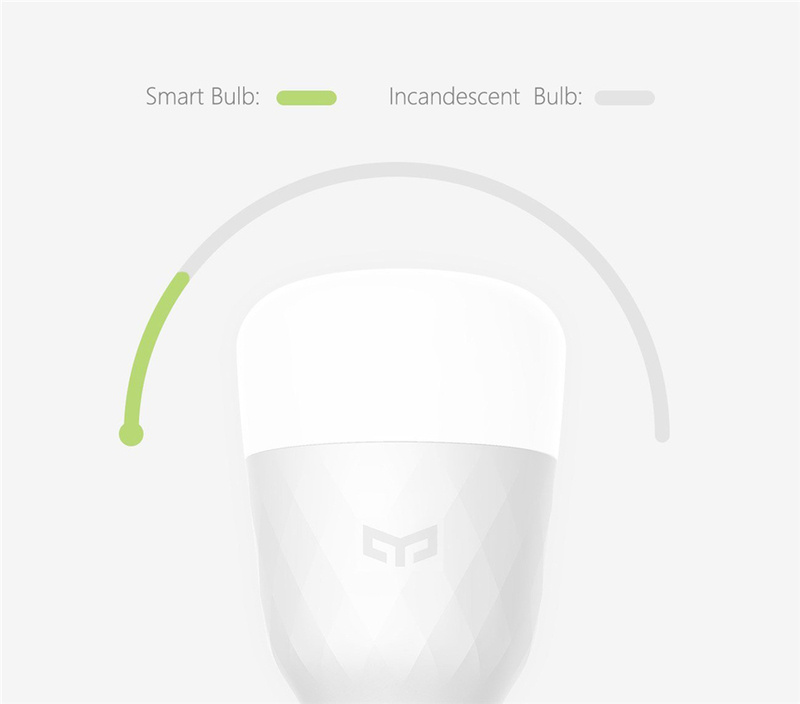 * No hub required, connect the bulb directly to your WiFi at home. 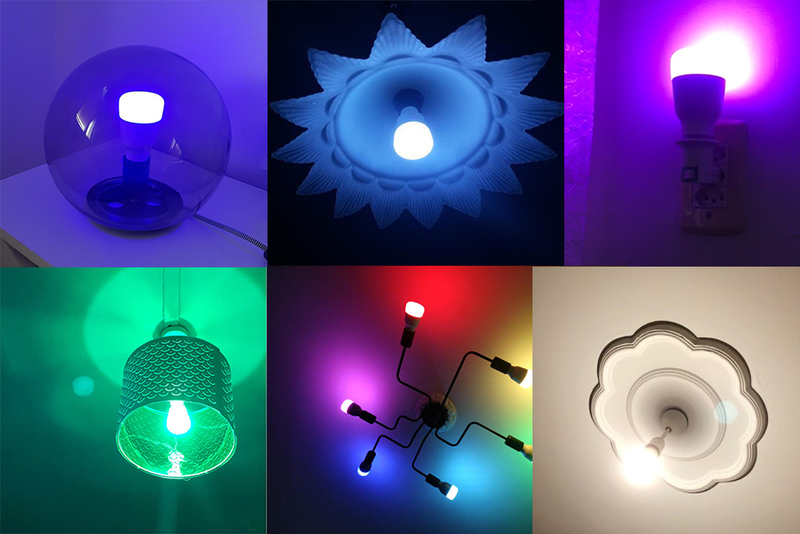 Play with light and choose from million colors to match the light to your mood. 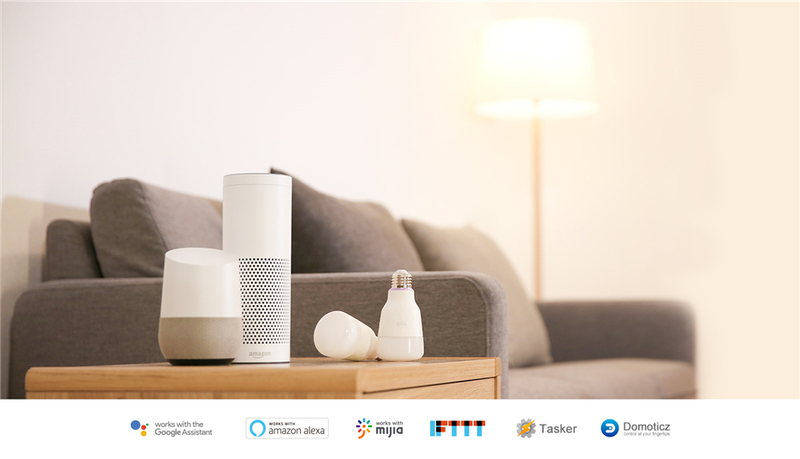 Control your light hands-free with Amazon Alexa and Google Assistant. Change the brightness and color temperature with convenice. Professional optical design and high quality LED provides stable lighting performance, reduces glare and protects your eyes. 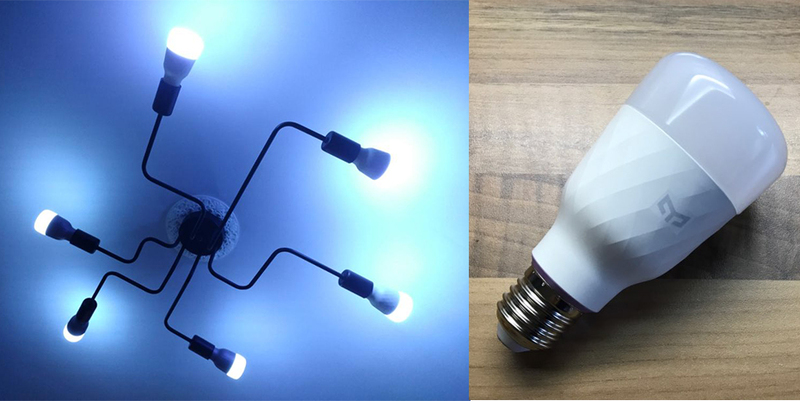 With 2700K to 6500K color temperature adjustment and dimmable luminance, Yeelight LED Bulb fulfills all your needs. Set the right ambiance for any moment by adjusting color temperature from warm white to daylight. Enjoy different styles throughout the year, ranging from the warm white light of a winter day. Your home, your way. YLDPO6YL With the large variety of color choices, get creative as you customize colorful accents to your home. 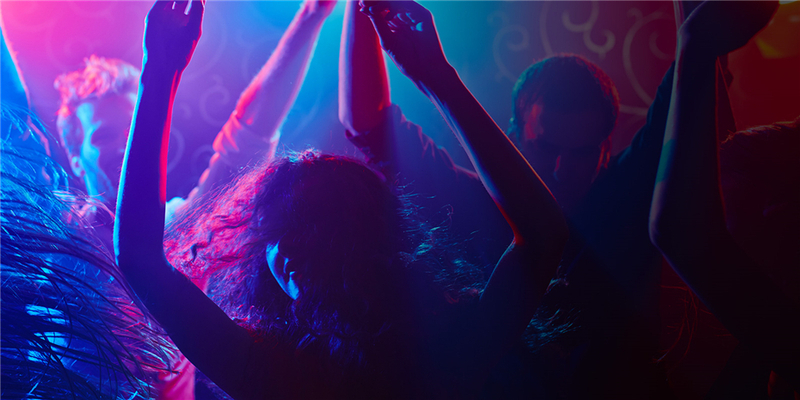 Sync the lights to your favorite song and explore how lights change with rhythm. Spice up your party ot holiday decorations with changing colors. One light, any ambiance: Sweet home, reading scene, night mood and so on. 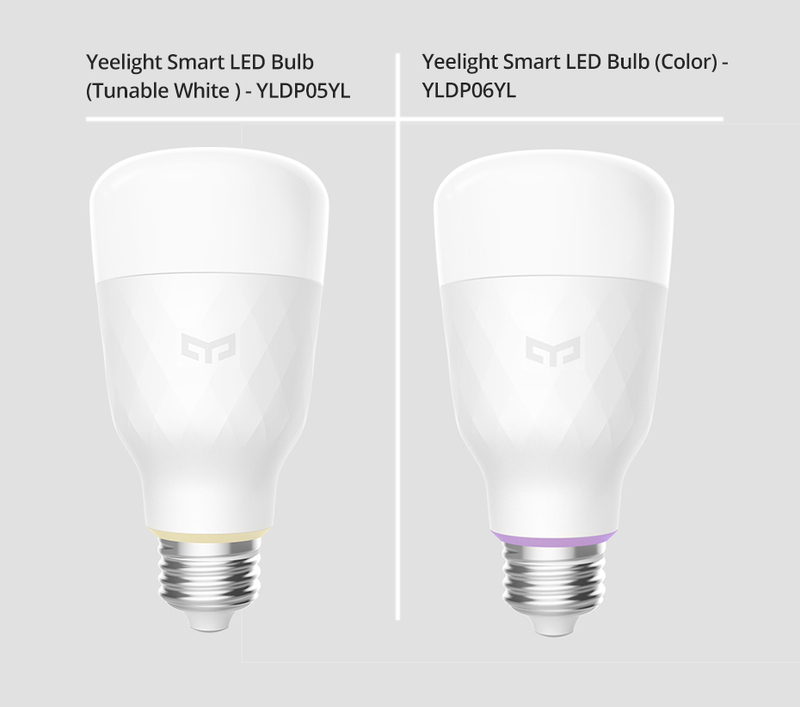 With the Yeelight iOS and Android apps you can control your lights remotely, wherever you are. Not sure if you turned off all the lights but already left the house? Check even when you\'re away from home. Forgot to leave a light on for your pet? Turn on a light without being present. Control lights with a single touch of your phone. Turn off the lights for your kids without making any noise, dim the light without getting out of bed, switch off automatically when leaving home, it\'s all about simplifying your life. 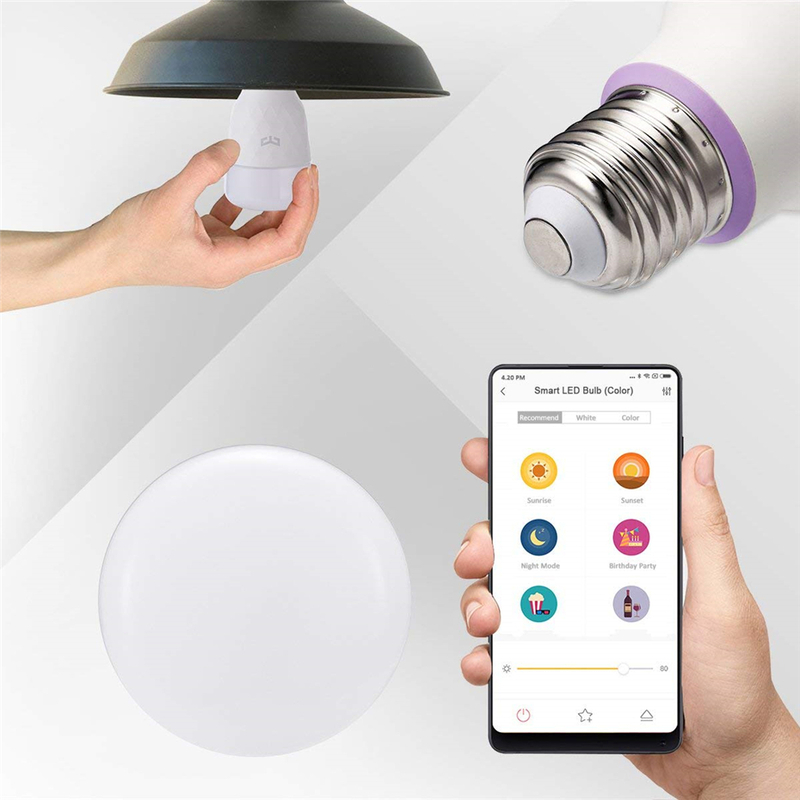 Plug and play, download Yeelight APP from Apple Store or Google Play, connect the bulb to your network then enjoy smart lighting. 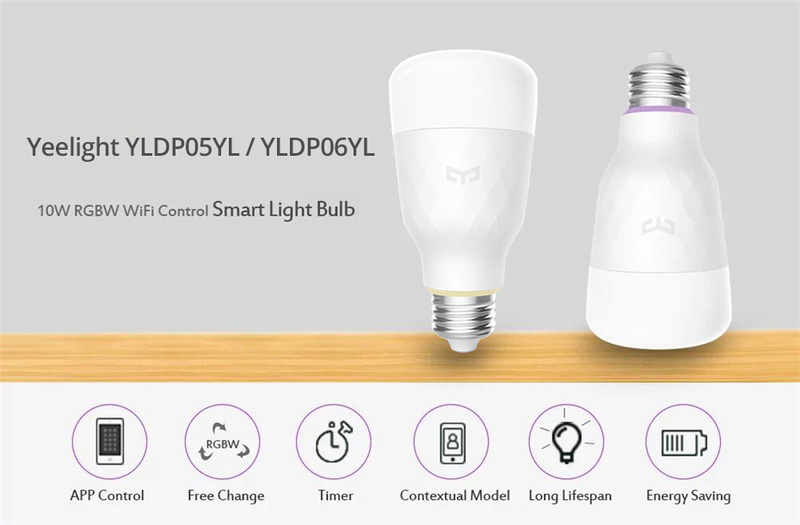 Two modes: Tunable White(YLDP05YL), Color(YLDP06YL). When you place an order and complete the payment, we will ship within 2-5 working days. We will notify you at the first time after your package is sent out. We are not responsible for delays caused by the customs, import duties, taxes or other customs charges. Buyer\'s country\'s import tariff is paid by the buyer. If you have question or trouble with your order, please feel free to contact us, we offer after service in time, we will reply within 24 working hours.